You can practice yoga and eat your cake too! Join us for a beautiful Okanagan getaway, where balance is about living your best life! Eat cake with us. Fall out of a pose or two. Go ahead…drink that glass of wine. We’ll get our stretch on and chow down on real foods to nourish our bodies and souls. Get ready to reinvigorate yourself! This is a chance to push aside thoughts of how things are supposed to be done and embrace how we want to live. Let’s start building a lifestyle that doesn’t take effort; the kind of lifestyle that has us drinking beers after a hike. Finding balance is often associated with reaching perfection... eating kale for every meal and working out at 5am 5 days/week (with a smile on your face). We all know this can be challenging to keep up in the long run. Rachel and Kendall approach balance a little differently: Eat to feel good and move to feel great! Repeat. Food is more than calories. It’s connecting with friends over a glass of wine and the bliss of a single perfect bite. Food is more than food when we slow down to enjoy it. And yoga is more than exercise. It’s respite from your crazy day and a community that encourages falling down, so that we can learn how to get back up. It’s finding your breath in the spaces between the chaos of life. 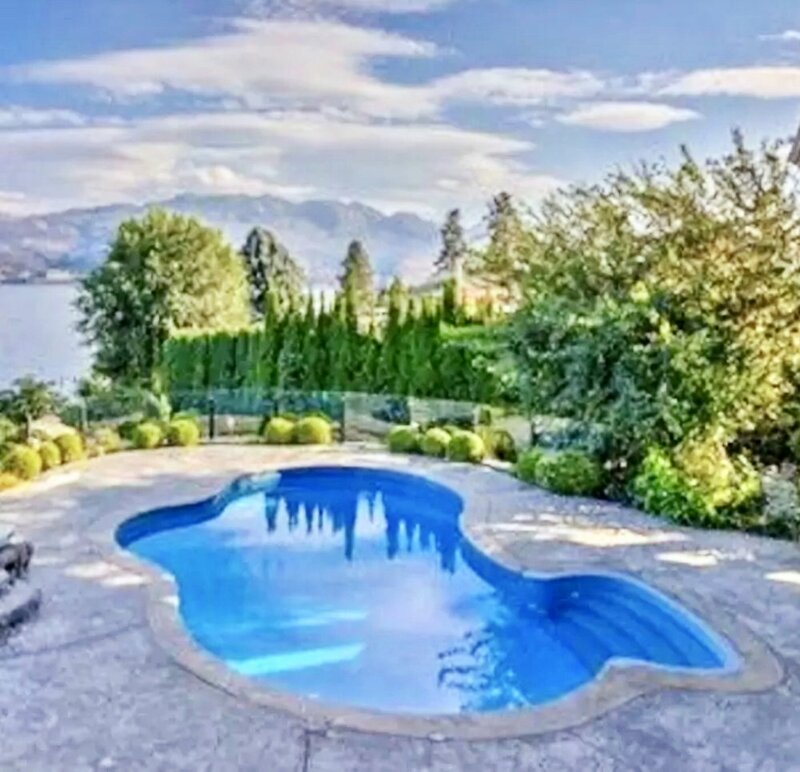 This year’s retreat is located in a beautiful Okanagan villa, just a few minutes walk to the lake in sunny West Kelowna. Along with practicing yoga with Rachel and eating fabulous food by Kendall, you’ll be able to take in a breathtaking view, be able to lounge by the pool, enjoy a wine tasting, and participate in a hands-on cooking class. We can’t wait to hang out with you! $250 deposit required to reserve your spot. Non-refundable. Prices listed are per person and do not include GST. Kendall works with companies and individuals to build thoughtful consumption into daily life through engaging classes, workshops, and events. 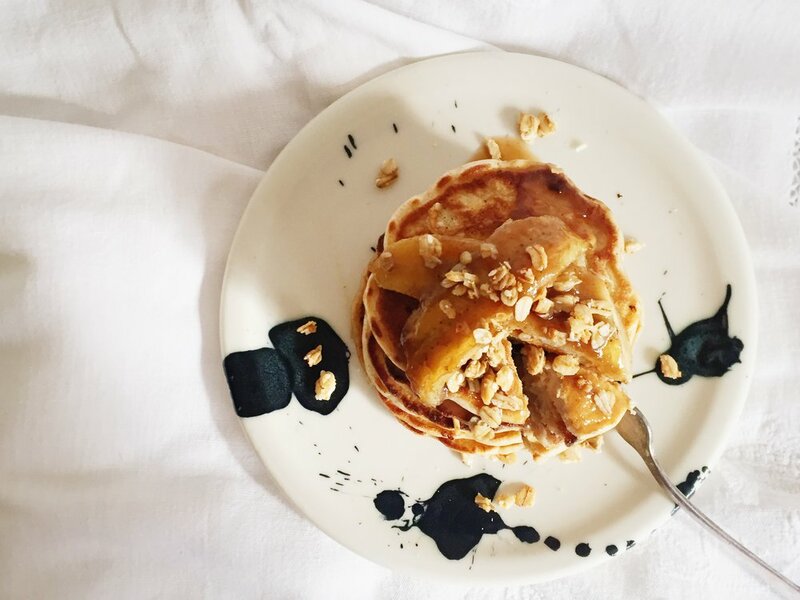 She started her work in food education after obtaining a Masters degree in Food Culture from the University of Gastronomic Sciences in Pollenzo, Italy. Her work has taken her to London, England to develop a food education program for Borough Market - one of the largest and oldest markets in the world - as well as Provence, France to connect curious “foodies” to the people and traditions which remain alive in the countryside. She believes that food is a fun, central part of daily life and that its social importance cannot be reduced to calorie counting. For Kendall, finding the balance between kale and cake is all about eating real food and slowing down enough to enjoy every bite. I found Yoga more than a decade ago, during a time in my life when I was battling extreme anxiety and panic attacks. It gave me the tools I needed help calm my mind and ground my body. I began to practice it regularly. Yoga became my guide from this point forward, whether I was conscious of it or not, on and off the mat. Years later, I realized that I wanted to expose others to the emotionally healing benefits of Yoga, bringing people peace and strength both physically and mentally. After receiving my 200-hour Yoga certification through Open Door Yoga Vancouver, I took a leap of faith and left my long-time job as a sales/customer service consultant in the Fashion Wholesale Industry to become a full-time Yoga instructor. During that time, I also continued my education in Vinyasa/Flow Yoga, Vinyasa Yoga for Youth, and Trauma Sensitive Yoga. After a few years of teaching, I took another big step and opened my own studio right in the heart of the place where I was raised and have such a strong connection; the gorgeous North Shore! 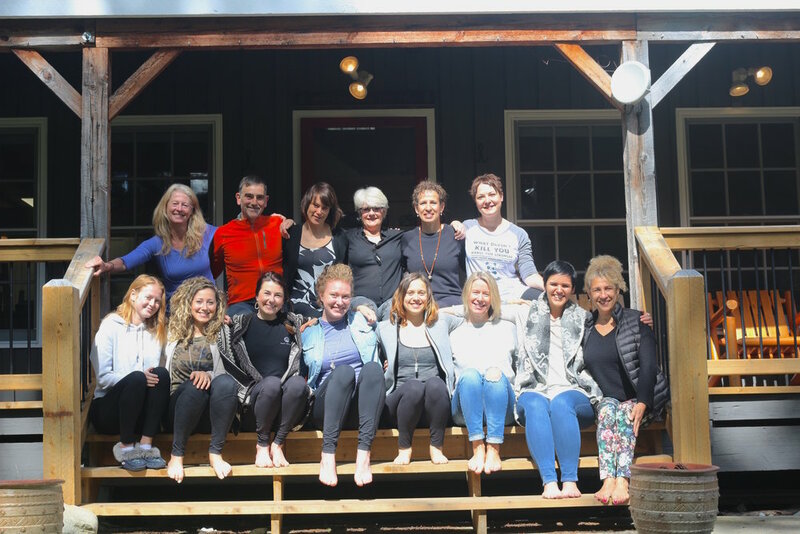 The Yoga Root was conceived from wanting to take my experience and passion to the next level, and offer a space to those seeking an intimate and connected Yoga practice, while bringing students a sense of community that may be missing from their lives. My focus is to promote confidence in my students by creating a safe, non-competitive environment. I offer modifications in postures to ensure that each individual, from the fitness-minded “workout warrior” looking for a little stretching, flexibility and balance, to those struggling with resisting the experience all together, gets the most out of their practice! YOU fit yoga. Everyone fits Yoga. Yoga is one-size-fits-all! My experience in music, dance and a teeny bit of Taekwondo runs through my teaching, and I believe that we continually keep learning, no matter our levels of experience. In my classes you will be encouraged to find your genuine, authentic self and, hopefully, clarity moment by moment. Finding what moves you to breathe can be the key to cultivating YOU. I strive to make my classes accessible and relatable to those of us charging through busy, stressful North American lives. Join me in shedding the mystic mask of Yoga, and let’s have fun doing it!